New Revenue Models Augments Social Gaming. India’s gaming industry is set to grow from Rs 4 billion in 2007 to a projected Rs 14 billion in 2011. India’s Social Gaming Revenues would top $1B in 2011. Social gaming already is big business in Facebook and the top social gaming companies are making anywhere from $60 million to $ 1 billion per year on Facebook Games. 1. Launch of Don2, the social game on Facebook in parallel with the Don2 movie featuring Shahrukh Khan, Priyanka Chopra, Lara Dutta, Kunal Kapoor amongst others. To leverage on the huge popularity of SRK, and the legacy of the Don movies, the Don2 game involves dark and gritty 2D art style gaming with Photo-realistic representations of locations, characters from the movie, weapons and vehicles, Interactive mini-games with multi-layer gaming to unlock special items, weapons and missions with friends, Leader-board system, Global and social ranking. The games include Real and virtual goods received as gifts which could be used as virtual and real monies. The gaming model closely resembles a mash up of Cityville and Mafia Wars. In the true social essence the initial draws will be based upon Facebook Ads, post which the viral effect kicks in, which is fortified with awards and other meet and greet events. 2. Another global launch that is also being worked out through Facebook is the launch of Enrique Iglesias’s new Album through context relevant advertising through the Facebook’s No.1 game: Cityville. The effort is to drive traffic to the Album’s facebook page including the exclusive video and audio snippets of the album’s numbers. 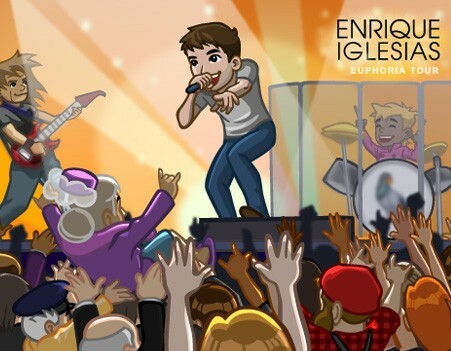 That’s a seamless way of integrating awareness, trial, likes and recommendations about Enrique’s new album across 73 million monthly users of Cityville. Earlier we had Lady Gaga’s Gagaville lord over Farmville for the same set of purposes. These events are particularly interesting as means through which Social Games are evolving from just being a game to a engagement-led and experiential media for brands to talk to its customers. There would be more such integrations as we go forward. If at all, this medium underscores the importance of traffic and stickiness as pre-cursors to revenue generation mechanisms. 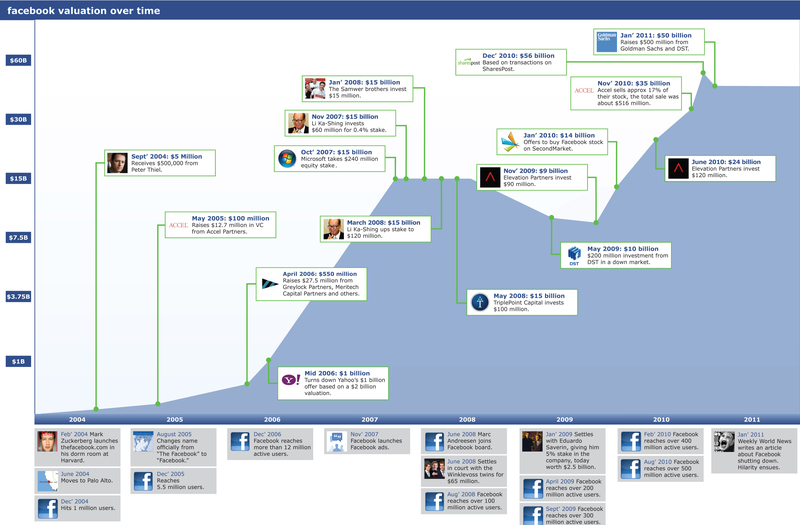 Facebook’s Glory days:No Company in recent history has had a run like FB! 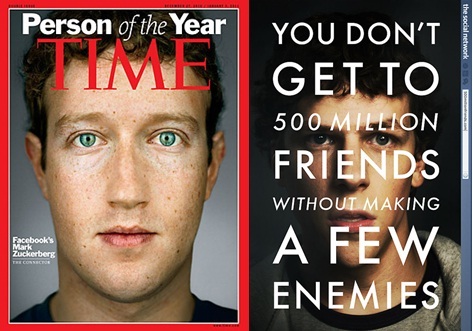 Facebook and Zuckerberg are adhesived on-to headlines now, whether it be due to the movie: The Social Network, or Mark Zuckerberg being judged as person of the year by Time, Facebook Messages (that heralds a bold move for FB from social networks to full-fledged communication system) , Social gaming through Facebook, Facebook Credits and Online Currency, Goldman Sach’s $50 billion or a $70 billion valuation @ $28.26 per share or 100 million users on Cityville 43 days after launch or the impending “shut down” of Facebook come March 15th 2011. In October 2010, Facebook acknowledged that some applications on its site, including the popular game FarmVille (by Zynga), had improperly shared identifying information about users, and in some cases their friends, with advertisers and Web tracking companies. The company said it was talking to application developers about how they handled personal information, and was looking at ways to prevent this from happening again.News and Controversies apart, Facebook is the toast of the year and continues to promise more. FB has grown at a meteoric pace, doubling in size since 2009 and pushing international competitors aside. Its policies, more than those of any other company, are helping to define standards for privacy in the Internet age. FB has also come to be seen as one of the new titans of the Internet, challenging even Google with a vision of a web tied together through personal relationships and recommendations, rather than by search algorithms. In a major expansion, Facebook has spread itself across other websites by offering members the chance to “Like” something — share it with their network — without leaving the web page they’re on. Analysts see Facebook as the “default platform” of a new age of information organized around personal relationships. FB is pacing its reach globally. Interestingly enough, after it biggest market US (with 146 million users), FB is most popular in Indonesia (34 million users) and then UK (27 million users). The interesting bit about Indonesia here is that, it has an online population of 40 million, which means Facebook connects more than 85% of the online Indonesian population. Asia houses 112 million Facebook users, contributing one-fifth of Facebook’s total user count. The raising number of Facebook users mainly comes from 3 fast growing countries that saw 4 digits growth rate in the last 24 months – Malaysia (1,000 percent), Thailand (4,000 percent) and Taiwan (7,500 percent). Facebook’s secret sauce toward success in Asia is mainly due to its quick adaptability to different cultures and languages. The originally English-based social network allows non-English speaking users to translate the site’s description to their native language. The other factor that has helped Facebook extend its reach in Asian countries is the use of Gaming as a penetration strategy. Farmville and now Cityville are pilling on users who necessarily have to get a Facebook account to access these games. The only frontier unchartered by Facebook is China. FB remains banned in the Chinese community while Renren has grown to have more than 150 million users. Nonetheless, Facebook still has about 300,000 Chinese national users accessing it through proxy server or when overseas. But the value of the Facebook network is weak among Chinese nations. FB has had better luck in Russia as it recorded a 376 percent increase in users from January to August last year, according to comScore data. It currently has more than 4.5 million users in Russia but is still far behind VKontakte, which has about 28 million users. The Silver-lining henceforth: If Facebook has succeeded in penetrating the Russian market, it might have a shot at doing the same in China.IN TIME! To wrap up, heres an interesting presentation from Amodiovalerio Verde on the demographics of FB! Social Gaming has come a long way since Zynga and Facebook.In earlier posts, i had written about the Promise of Social Gaming and factors that determine its success: Content, Distribution and Platform. More and more people are spending more and more of their online times playing social games with their friends. Users are willing to spend money on games that they find valuable. Marketers are exploring this avenue to build messages and engagement for their brands through the gaming media. The best advertising for gamers tends to be integrated into the game itself. The challenge here for social games developers is to figure out how to work better with brands to find contextual ways to work brands into social games. The demographics depend quite a bit on the type of the game. Overall, social games cut across all age groups. Interestingly enough, a higher proportion of social gamers are women as against men (who have dominated gaming as a domain). Relative to other segments of games, there are proportionally more women involved in social games than one would expect. Social gaming as a business for developers will need a lot of capabilities. Firstly, the businesses need to have the competencies with game design skills, so as to be able to integrate social interactions into the games. Secondly, there is a need for resources to support the game as it scales and grows in terms of usage on the net. From the marketers and advertisers perspective, choice of a gaming platform depends on the objectives. Gaming is in a more strategic term, a service, which thus needs a long term perspective of the future of the gaming and benefits that it accrues for the brand. As is the case with any dynamic service, it’s important for developers to continue investing in creating new content for users to keep them interested. For instance Facebook as a platform gives the highest reach (They have over 200m people engaging with social games on a monthly basis), whereas a few niche gaming portals have a much higher level of gamer engagement and monetization. There is an opportunity for more specialized sites to succeed by strictly targeting folks who want to play games. The monetization rates in such cases on small platforms can be higher. 1.According to market-research firm In-Stat, revenue from sale of virtual goods is expected to touch $7.3billion in 2010. This figure exceeds estimates from many leading research and investment banking firms, and is in large part tied to the overwhelming success and growth of social games. 2.Juniper research puts the revenue figure from virtual goods to surpass $11 billion by 2015. By 2012, it predicts virtual good sales to surpass the traditional pay-per-download model for game monetization. 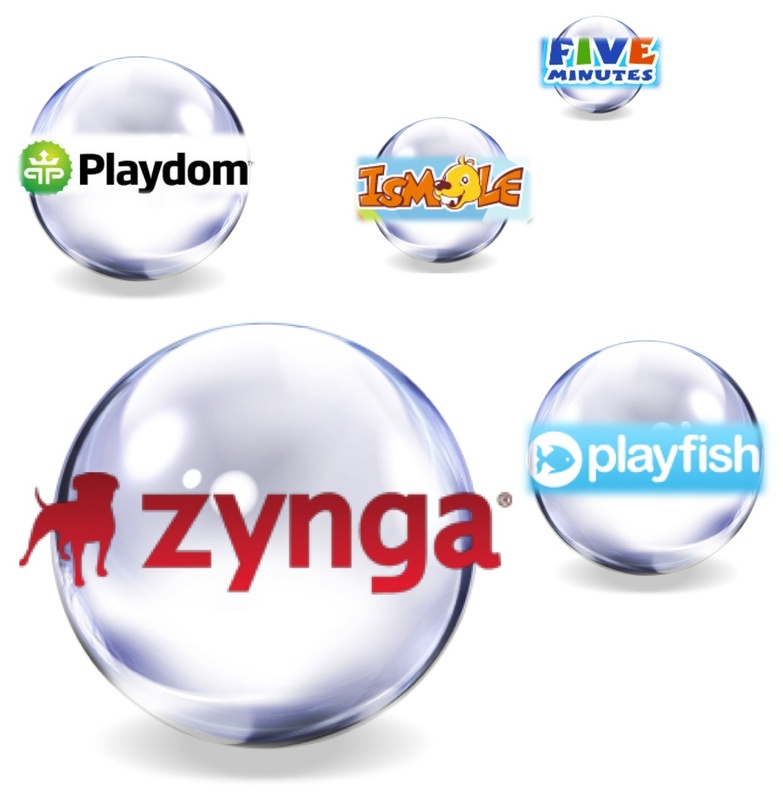 4.Zynga’s makes money on Virtual Goods and Ad revenues. 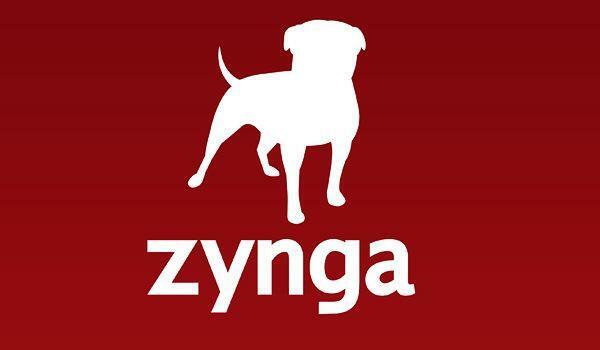 Zynga currently has 360+ million monthly active users, and the company was valued at $5 billion in April of this year. Other companies, like Gaia, sell as much as $1 million a month in virtual items. 5.Inside network, another analytics estimates that the market for Virtual goods in US will jump to $2.1 billion in 2011 from $1.6 billion in 2010 and $1.1 billion in 2009. At this market level, virtual goods have evolved into a major revenue stream from the media and entertainment industry. As consumers spend more of their leisure time online, Virtual Goods are reaping the benefit and becoming a key aspect of lifestyle spending. Accordingly to Nielsen, U.S. consumers already spend a higher share of wallet on game content –of which VGs are a key part – than on print media, premium TV packages, movie rentals, and music. A key factor in the growth of VGs is the explosive phenomenon of social games—games that are integrated into social networks such as Facebook. Nearly half of Facebook’s over 600 million users play social games. This mass-market success creates an excellent opportunity for publishers and marketers to create a free and diverse market—much to the benefit of both distributors and end-users. Within this environment, marketers must master a new task: using virtual goods as the carrier for powerful, viral brand messages. Branded virtual goods can work as well as the best word-of-mouth marketing, but they also give the player the control to engage with, reject, or ignore the message. Here, we find a vehicle for extending reach into new markets and for crafting brand messages that are woven into the fabric of user’s social activities. Compared to context specificity of branding/marketing messages in social games, Virtual Goods have the advantage of being context specific already and hence marketers no longer need to look at context. They would need to focus on just the message and how it links up to the medium, the virtual product it is embedded in. With VGs today, the market for branded goods represents a small, yet growing force and conservative forecasts put the BVGs (branded virtual goods) at $150 million in 2013, with annual revenues of $318 million by 2015. This growth in VGs and BVGs reflects significant strength in the business models of social games. Likewise, it promotes increased control by players-as-consumers. •	“Chocolatier: Sweet Society” is a Facebook game by PlayFirst with a premise of becoming an artisanal chocolatier in San Francisco. For the holiday season, PlayFirst is partnering with Charles Chocolates (a San Francisco-based chocolate company) to offer physical production of chocolates from the game. •	“Retail Therapy” is Facebook game created by the publishers of PopSugar, a popular blog featuring celebrity gossip and entertainment news. The game allows players to create a fashion boutique that sells branded virtual goods from top tier fashion brands such as French Connection and Diane von Furstenberg. •	Mertado’s Embedded Shops appear in social games and allow players to make a purchase of clothing and related items on Mertado. •	Zynga has offered branded virtual goods on behalf of Haitian hurricane victims. Zynga’s m-Cap ($5.51 billion) has reportedly edged Electronics Arts’ m-Cap ($5.22 billion) in NASDAQ a month back. 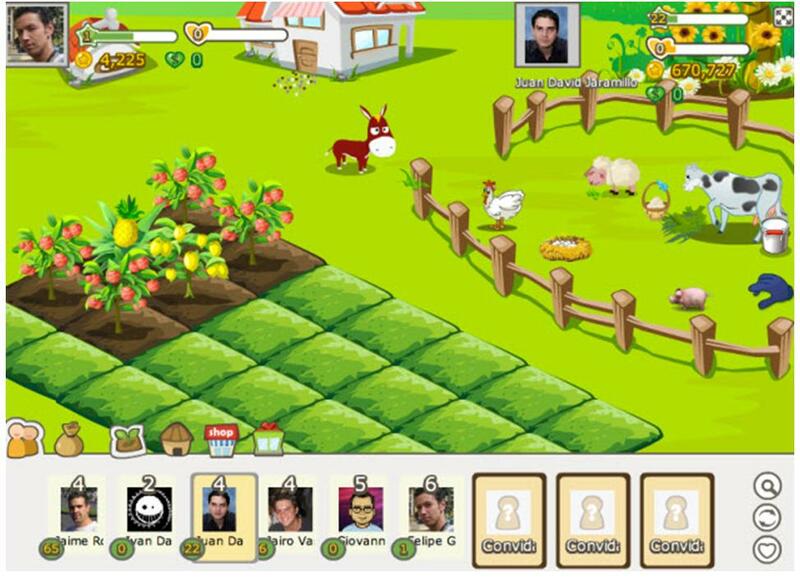 Zynga, maker of Farmville is remembered for its contribution to social gaming and analysts in bouts of enthusiasm have called it “Google of social games”. EA’s identity on the other hand is more of a traditional videogame giant with blockbusters like FIFA. So then, is this the rise of one social game startup over the fall of a traditional videogame giant? Not quite. This is not about social versus traditional anymore. Instead, let’s look at this match-up as competitors battling it out across new platforms. EA has been aggressively expanding into new gaming territory, including social. The company bought startup Playfish, then the second-largest social games developer, in November 2009 for around $400 million. The course of transitioning out of being a traditional console game publisher hasn’t been easy for the company and it has been rocked by declining profits, share value and layoffs. Inspite of the fact that turnarounds take time, and EA’s online revenues are looking pretty good. This fiscal year, EA expects its digital businesses — including mobile, downloadable games and social games — to reach $750 million, or about 20% of total revenue. That’s about the same, if not more, than what Zynga’s total revenue is estimated as. And that’s not to mention EA’s more than $3 billion in revenue from console and PC game sales. Impressed by the success of Zynga and Facebook, virtually all of the major traditional game publishers have begun incorporating social games or elements into their products. In effect, everyone in the industry has become “social”. Seen through this longer-term lens, the competition among these companies will ultimately come down to what it always come down to — who has the better games. The social games business is a hits-driven one, because players flock to whatever game is new and popular at the time. That’s still as true now as it ever was. Zynga clearly has a lead in social games with its popular FarmVille title. But even that hit is on the decline in terms of number of users, down more than 25% since its peak. It is very possible we may never see a social game with as many users as FarmVille again because the market is fast fragmenting. Smaller audiences in games aren’t necessarily a bad thing. A game like FarmVille may have all the users, but the average spend per user per month is low, around 10 to 20 cents. But a social game under an IP that commands a smaller but more loyal user base, like EA’s FIFA Superstars, can see an average as high as 50 cents to $1. And EA has a number of traditionally strong franchises under its roof that it’s been rolling out onto Facebook. Meanwhile, both companies know that social alone isn’t enough either. It’s about having an entertaining game experience that exists across multiple platforms. To that end, both have been pushing out mobile titles and making acquisitions of mobile game developers. EA, for instance, just bought the Chillingo, the publisher of the popular iPhone game Angry Birds, last week. (Though the purchase did not include rights to the game, which belong to its developer Rovio.) And Zynga bought iPhone developer Bonfire Studios, earlier this month. The company also recently released FarmVille for the iPad. Zynga has certainly been a rocket-ship of success, achieving what it has in just four years. But that doesn’t mean social gaming is poised to capture the larger market. Instead, Zynga’s success has brought the company to a new level of competition that’s not social — it’s about the games. This is the concluding part on a profile of social gaming as a phenomenon. While the first part was about social gaming beyond Facebook, the second part was mostly about the importance of platforms in social gaming. 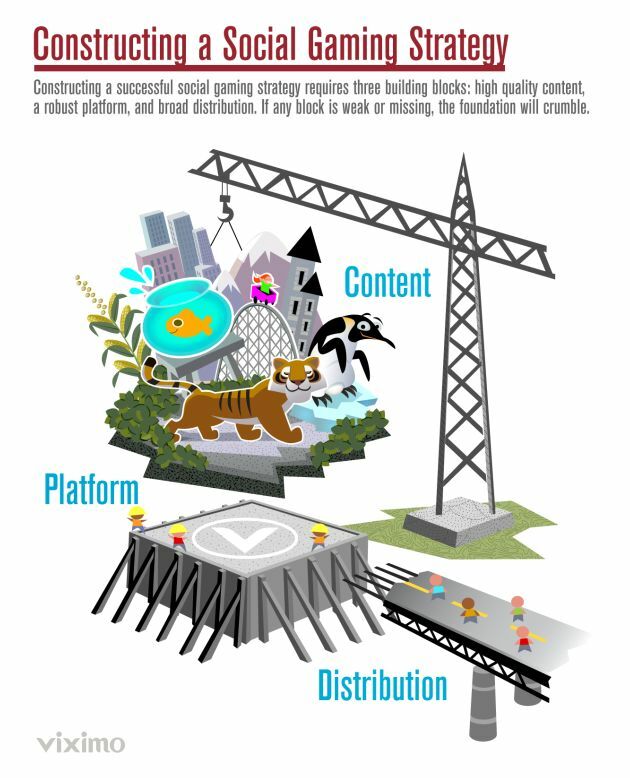 This post deals with the content strategy and distribution strategy for social gaming. 	Appeal to the site’s core demographic. 	Promote the behaviors that are key to the site’s appeal — whether that is flirting, keeping up with friends, or gathering around a particular theme. 	Have already proven to be engaging. 	Are continually optimized and refreshed to retain users. Great content takes significant skill and resources to build, and attracting quality developers can be difficult for smaller sites. In addition, it’s important to realize that many games have a limited shelf life, so new content must be continually added in order to keep a site’s social gaming ecosystem vibrant. For these reasons, content acquisition is a critical step that requires ongoing focus and commitment. 	Premier placement: Not only creating a dedicated section for social games, but also implementing hooks for those games into a site’s features such as profile pages, activity feeds, and the site’s main navigation. 	Ongoing promotion: A site will dedicate high profile real estate to promote game launches, in-game events, and other calls to action that drive traffic into the games. 	Viral notification channels: A site will allow social games to have reasonably unfettered access to a site’s communication channels including user-to-user messaging, invitations, and activity feeds. A site must use all of these methods extensively in order to build its base of social game DAUs (Daily Active Users), which are key to driving revenue. When it comes to social games, social networks often make the mistake of copying what Facebook is doing today without recognizing that Facebook has the benefit of massive success on its side and can afford to make decisions that dampen the ubiquity or virality of its platform. Instead, sites should look to what Facebook did in the early days of its platform to make applications an ubiquitous part of its experience or take lessons from smaller social networks. There are plenty of good examples of smaller sites like My Yearbook and Fubar which are consistently and continuously making made social gaming and virtual goods a central part of their strategy. Those examples will help companies understand how social games can transform the engagement and monetization potential of their social media sites. In an earlier post I had spoken about Social gaming beyond Facebook and the fact that Gaming sites can no longer afford to rely solely on advertising revenue—they must master the intricacies of directly monetizing their users via virtual currency, virtual goods, and social games. In this post, i write about Platforms, one of the key elements to seamless delivery of Social Gaming to the users. There are three main pillars that anchor a successful strategy: The platform, the content, and the distribution. The first step in a successful social gaming strategy is creating an application platform from which social games and virtual goods can be distributed to a site’s users. A great platform must enable social games to be well integrated into a site’s structure, have access to essential social information about a site’s users, and monetize a site’s users with the least possible friction.It is essential for a site to have a private-label, site-wide virtual currency that is used as the coin of the realm. As Facebook is now discovering with Facebook Credits, a site-wide virtual currency has many benefits: It reduces friction by giving players a standardized form of payment across games, creates a barrier to exit for users that have stored value in the system, and gives sites an efficient and fair way to participate in revenue from third-party apps and games. By using this approach, sites can earn a revenue share of up to 30% for providing virtual currency and distribution to their developers. Virtual goods derive their value both from the utility they provide and the social value associated with owning or giving them. Although virtual goods got their start on social networks in the form of virtual gifts, selling virtual goods within social games has become the dominant business model on social networks. This is because social games can support virtual goods that combine gameplay benefit with social value. 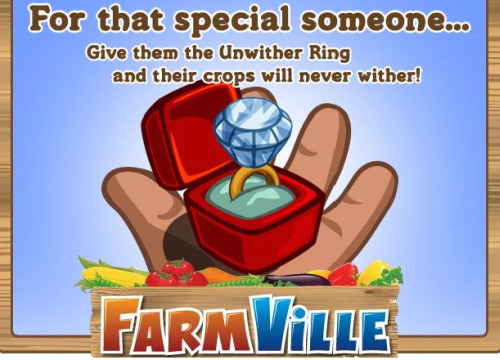 A great example of this is Farmville’s most expensive item: the Unwither Ring. This $45 virtual good is priced far higher than the $1 and $2 virtual gifts sold on many social networks due both to its rarity and the powerful benefit it provides the owner — the ring forever prevents the owner’s crops from withering due to neglect. Even Facebook, which was a pioneer in virtual gifting, has decided to shut down Facebook Gifts in favor of positioning Facebook Credits (which was originally developed for Facebook Gifts) as a currency for social games. A site’s platform need not be open to all developers, however, as is Facebook’s platform. In fact, for mid-tier social networks, an open platform can spread attention too thin and lead to an unwieldy experience for users. It is far better to have a portfolio of content that has been tailored to a site’s particular demographics and can be heavily promoted as a set of core site features. A great example of this is Fubar, a social network marketed as the “first online bar.” The site features a collection of flirtatious social games which are woven into every aspect of the on-site experience, including the login page, profile pages, communication channels and site structure. These apps succeed in attracting and retaining users because of how well they align with the site’s social context and how smoothly they integrate into the overall user experience. In 2009, an estimated $2.2 billion in virtual goods were sold to consumers globally, and that number is expected to rocket to over $6 billion by 2013.Social games not only represent a lucrative new revenue channel for social media sites but they also signal a fundamental change in the structure of the social media industry. Social networks can no longer afford to rely solely on advertising revenue—they must master the intricacies of directly monetizing their users via virtual currency, virtual goods, and social games. 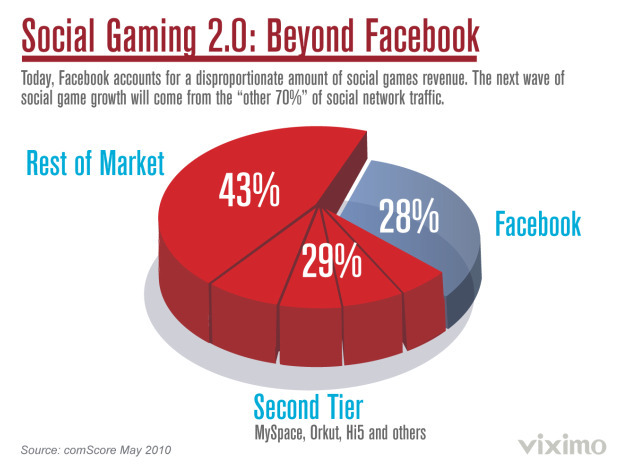 Social gaming got its start in mid-2007 with the launch of the Facebook Platform. Facebook has grown from 27 million unique monthly visitors to over 500 million unique monthly visitors, and over 70% of those visitors engage with applications every month. Last year, social games, one of the most popular forms of social application, generated over $500 million in revenue — the majority of which came from social games on Facebook. Although Facebook holds the dominant position in the social networking industry, the site makes up less than 30% of worldwide unique visitors to social networks. There are nearly 40 social networks with over 10 million monthly uniques and nearly 150 with over 1 million monthly uniques. The companies that make up the “other 70%” of social networking traffic are just beginning to realize the engagement and monetization benefits of social games. Some sites have made social gaming a central part of their strategy and are seeing significant growth despite the fact that more and more users are still being drawn to Facebook. When it comes to social games, smaller social networks, paradoxically, often have the benefit of size. Users of multiple social networks tend to split their time between Facebook and another social network. To these users, Facebook is an indispensable communication tool, but the other social network is essentially the local pub.Social games are the perfect addition to these communities. They provide a lightweight, social form of entertainment that enriches the interaction of a site’s users. As a result, social games on smaller social networks often meet or exceed the ARPU (Average Revenue Per User) observed on Facebook. And, unlike advertising, which detracts from the social experience of a site, a successful social games strategy will simultaneously increase a site’s stickiness and significantly increase revenue. With the advent of 3G services, Social Gaming is at its “point of inflection”. Game developers in India are looking at mobile phones as a new platform to launch new games as successful 3G bidding and arrival of smartphones are beginning to give social gaming a much needed fillip. The other factor that enhances social gaming as a market has been the reducing cost of ownership of smartphones. Demographically, 70% of the social gamers are Males and most of them in the 15-24 years bracket. The social gaming market worldwide is estimated at $60 million, of which the mobile gaming market is registering a 45% CAGR. Globally, Gaming is expected to become a billion dollar industry by 2012. In India the social gaming industry is still in nascent stages but is expected to multiply 6 times in the next 3 years to Rs.1,500 crore which would contribute nearly 13% of the overall mobile VAS market in the country. Currently, the mobile gaming market is 3% of the mobile VAS market in the country. This growth will be possible as 3G rollout will push the current 5 crore social gaming active users by 300% to 20 crore active gamers. 7.Contents2win has launched a Mahabharata based soccer game.